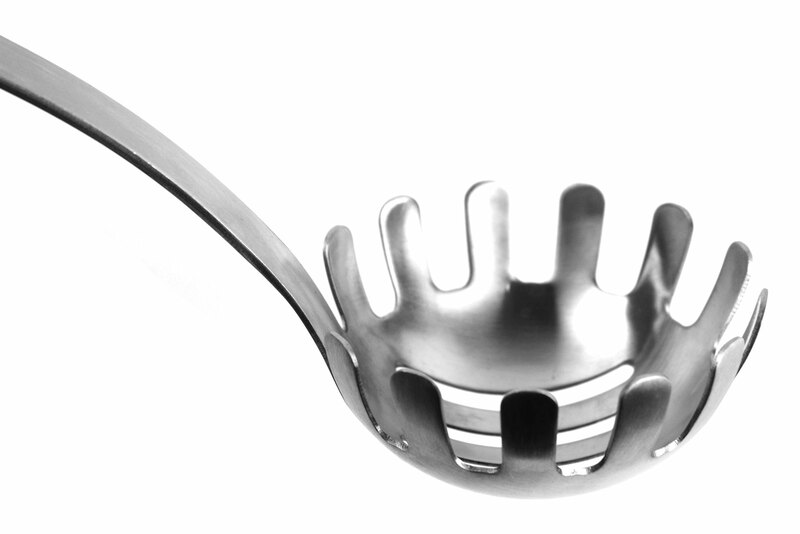 This Wusthof Pasta Fork is the perfect tool for draining and serving pasta. 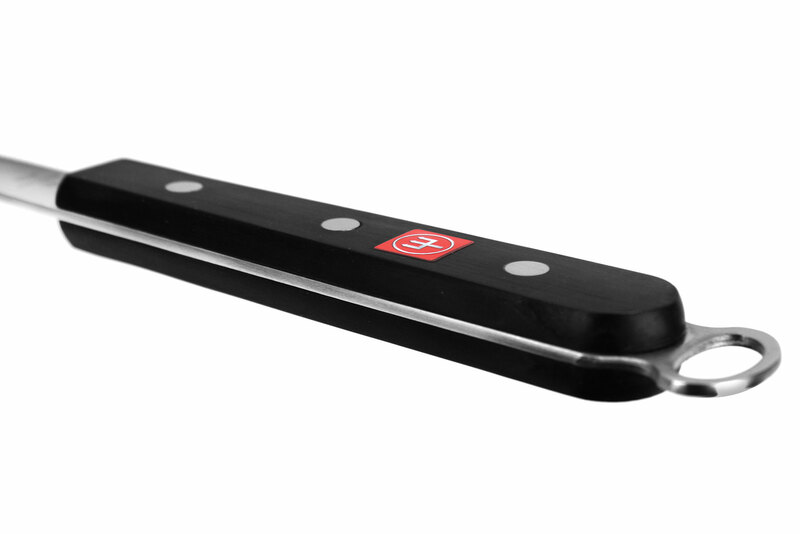 Water drains away quickly through the slots while the extra-long handle keeps your hands clear from steaming pasta. 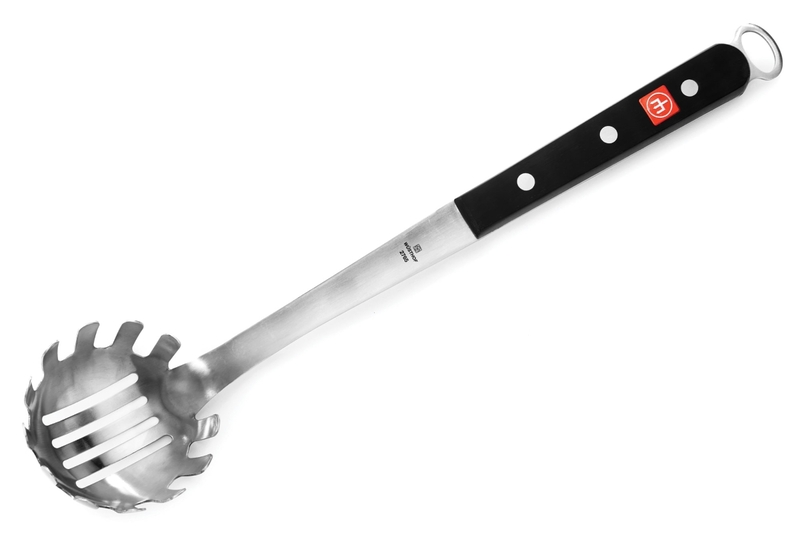 The long tines grip pasta securely for easier serving. Dishwasher safe, although hand washing recommended.